Before reading onward, it’s worth nothing that this location doesn’t accept Wechat or Alipay. Bring cash or a Unionpay card! 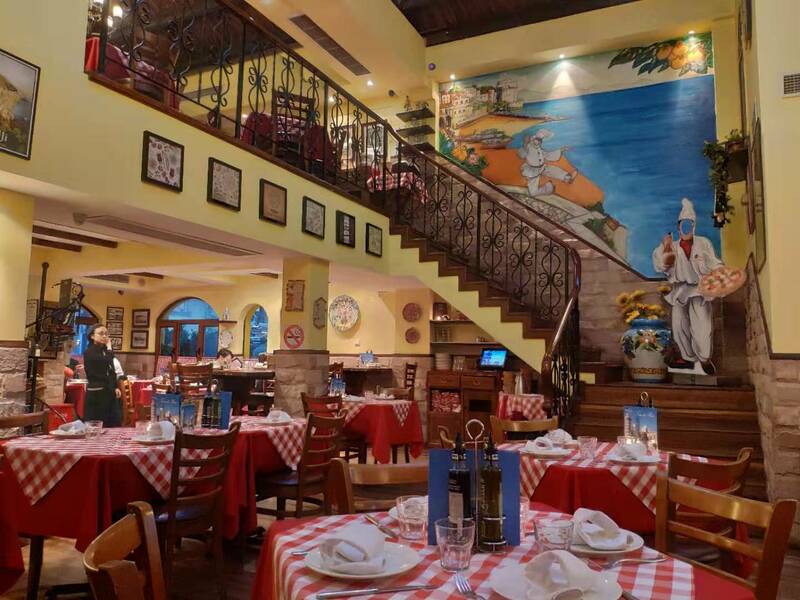 The first thing you’ll notice about this place is that it looks like a restaurant out of a movie set in Italy. The décor was pleasing to me. The high ceilings and multiple levels break it up nicely as well. The Italian chef in the back is also straight out of a film, and we feel like he really added to the evening. 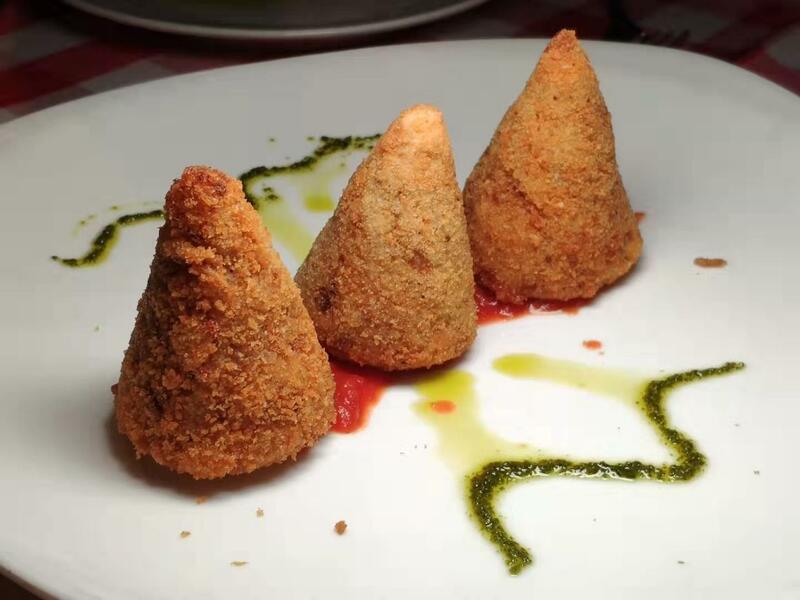 We started with a glass of wine (RMB 60) and an Arancino de riso (RMB 70), which was a fried ball of mozzarella cheese, bolognaise sauce, and rice. We were both feeling pasta that night, but I do recommend their pizzas, salads, and wonderfully cooked meats. The 4 Formaggi (RMB 100) was missing one type of cheese, but they told me about that up front, and I honestly never would have noticed. 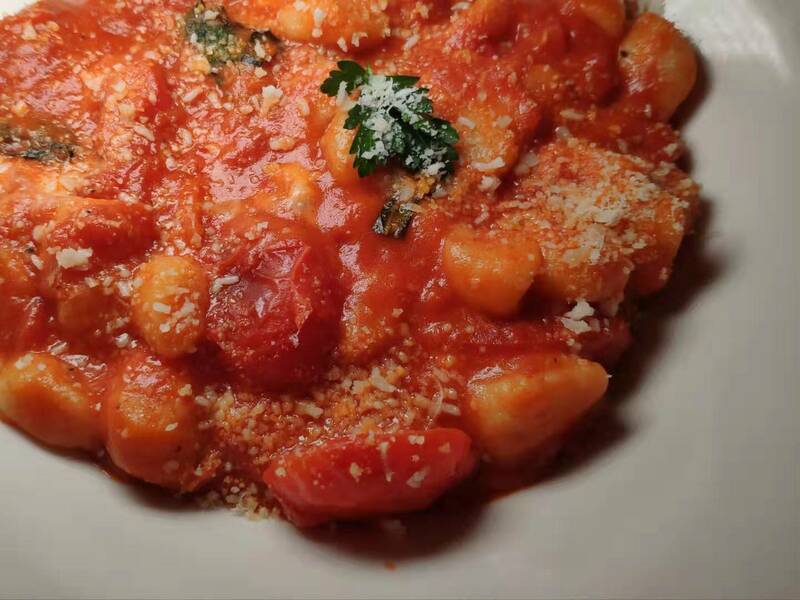 My friend went for the Gnocchi di patate alla Sorrentina (RMB 90), and she was happy with the classic Italian flavors. I was a little disappointed with dessert. The Frolla Napoletana (RMB 70) wasn’t really worth it. It was a bit chewy and just didn’t strike my fancy. I always order the cannoli, so I don’t really know what I was thinking. 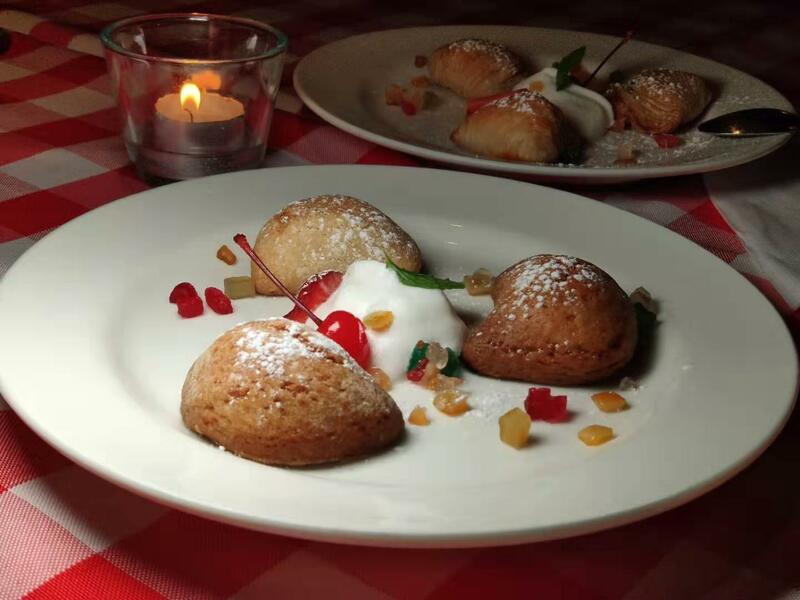 Summary: Pretty solid Italian spot with a good ambiance, friendly staff and authentic classic food. Maya is probably one of the classic Western brunch spots. It’ll get busier as the outdoor swimming pool downstairs opens up and the weather warms, but I like it just the way it is. It’s comfortable and not at all uppity. I wouldn’t recommend trying to actually do anything after eating here, though, as the food is pretty heavy, and you might need a nap immediately afterwards. The guacamole was delicious as always, and we ended up ordering another one not because the portions were small but because we’re gluttons. The Huevos Rancheros were delicious as well at RMB 55, and the House-Smoked Salmon was also a hit at RMB 65. If I’m really trying to complain, the Orange Juice was a bit pricey at RMB 40 for a small glass. We also ordered too many of the Manchego Sausages (they were nice, but they weren’t as cheesy as we thought they’d be). 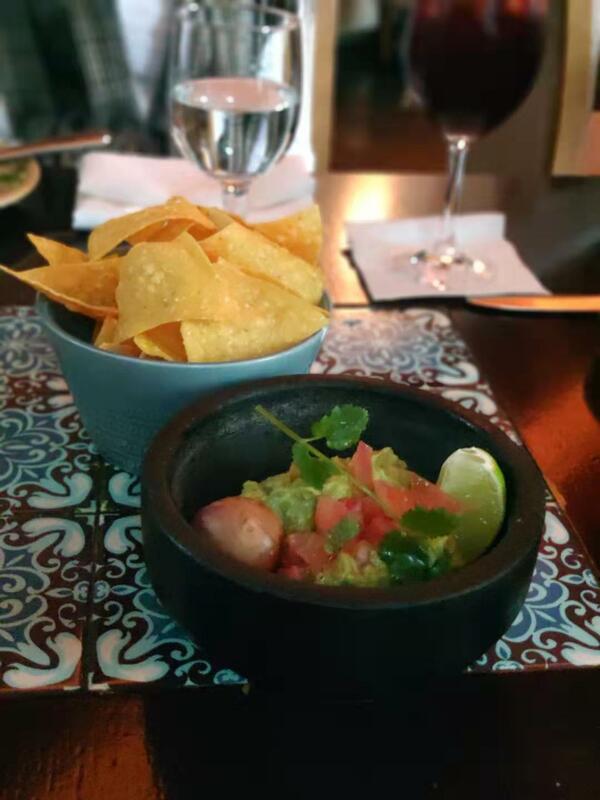 We didn’t partake this time, but I’d also recommend their bottomless sangria deal for RMB 150pp or bottomless Margaritas for RMB 185pp. Summary: Delicious brunch with a Mexican flair for a fair price. It’s lost a bit of its trendy edge, but some people like that about it. “It’s a hard taco. In a soft taco. Held together together with cheese.” My friend was drooling a little as she lifted this taco to her face. The taco itself was actually a bit bigger than her face, but that’s what you want in a taco, right? The fish taco was incredible. 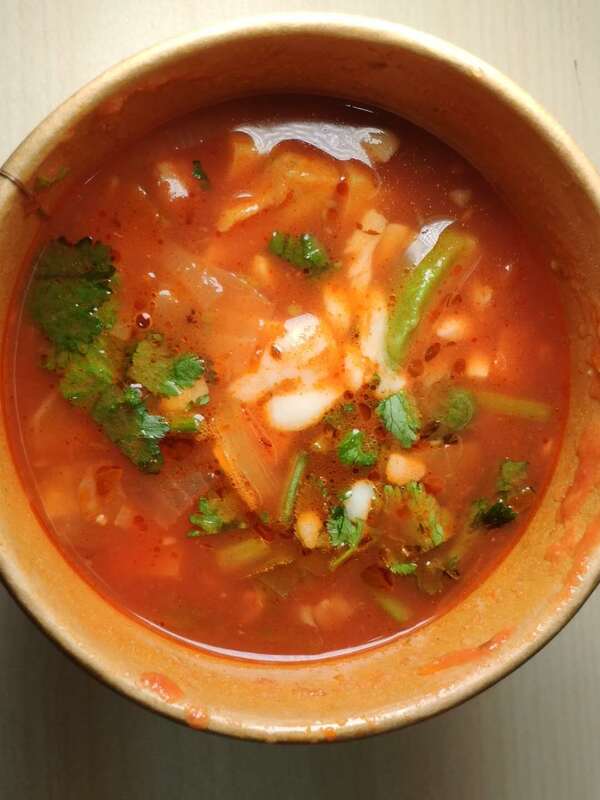 It tasted of growing up in Mexic…. Atlanta. 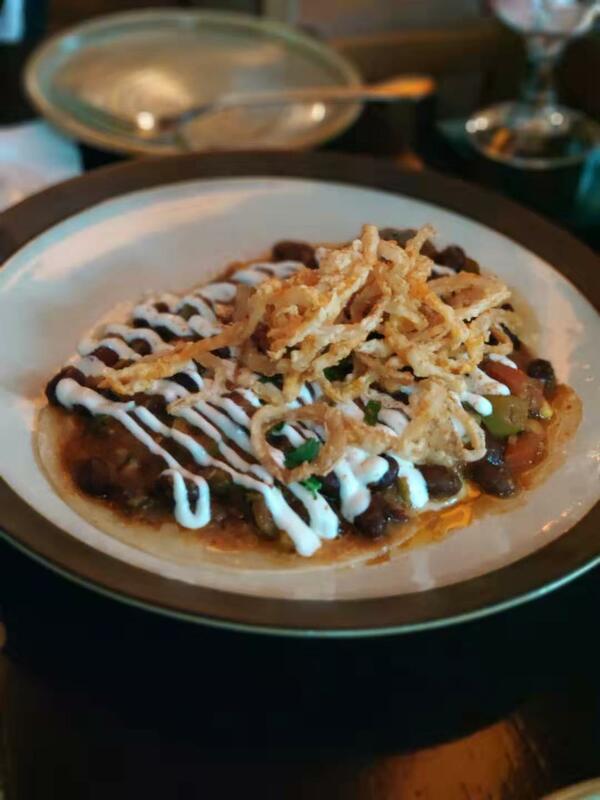 My friend from LA also agreed that it was the best taco in Shanghai, and my friend from New Zealand couldn’t really speak because he had never had a taco so beautiful. 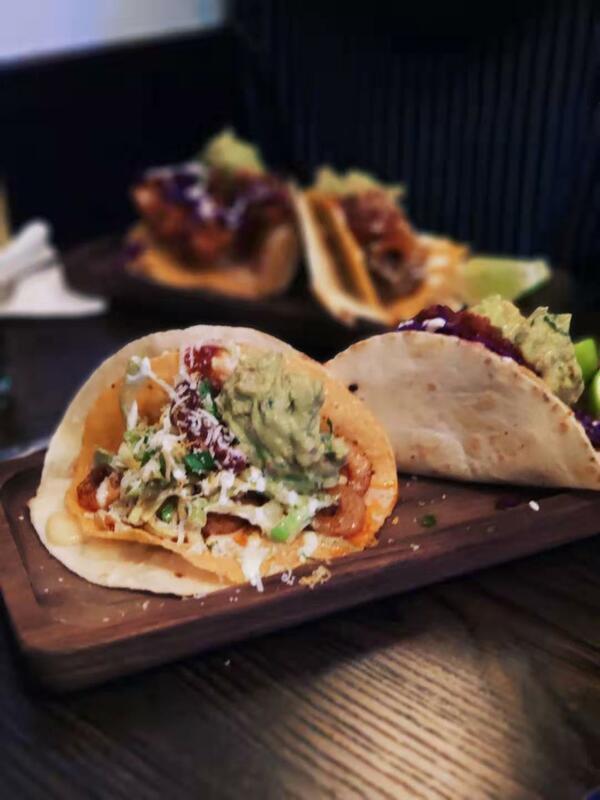 Most tacos are RMB 65 for two + RMB 10 for guacamole on top. I’m consistently right about two tacos never being enough outside of the Americas, but I was so wrong her. Oh how wrong I was. 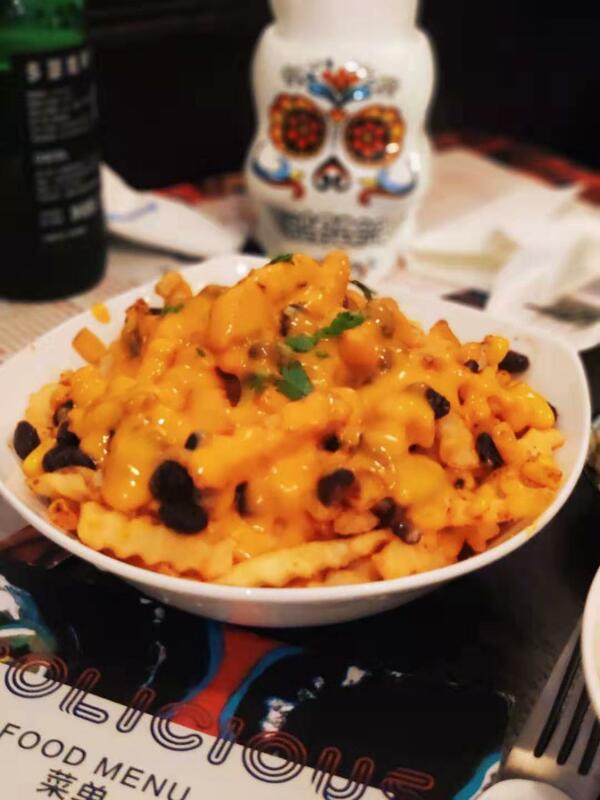 We also sampled the loaded fries for RMB 45, and we felt pretty good about the cheese ratios. I’ll certainly be back for a another Tacolicious meal very soon, and I don’t know why I doubted so many people when they said this place lives up to its name. Great food, cute spot, nice service. Average price per sober person: RMB 100. Summary: It’s a hard and soft and held together with cheese. Just when you think you can’t get your mouth around it, you manage. 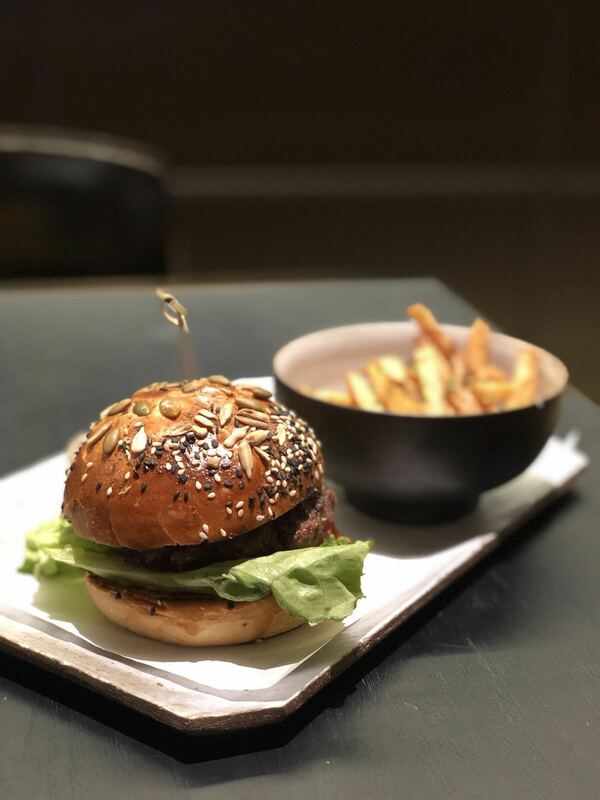 Let me begin this review by stating my awareness for the fact that my photos literally do this place zero justice (except the one of the burger for RMB 98, which probably does the burger too much justice). But I also feel like every publication in Shanghai has reviewed Rye & Co with some seriously gorgeous photos, so I’m just here to balance things out. Honestly, it wasn’t bad food-wise, but it wasn’t so special that it was worth eating in a mall. The red cocktail bar upstairs is for drinks only, so we ate in the restaurant on the first level… where we were very aware that we were in a mall. But the service was friendly and the prices not extortionate, so it was an alright experience. We did see some people eating upstairs, so maybe there’s a menu for nibbles, but I’m not sure. The bar does feel very separated from the mall, and I think the outside will be very nice in the summer. The biggest bonus is that brunch runs all day. My friends and I couldn’t pull it together to get over there in the morning, so we went in the evening and weren’t restricted by Shanghai’s usual 3pm brunch cut-off. When we were there, they were out of Fish and Chips (RMB 88) and Swedish Meatballs (RMB 108), but I’ll give them time to work out the kinks. 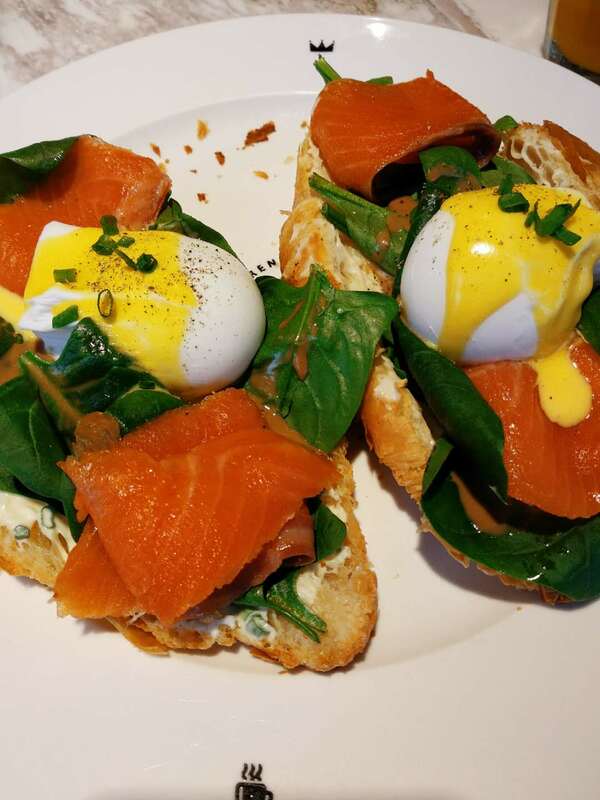 I had the Nordic Breakfast (RMB 42), which was basically just eggs benedict with smoked salmon, and felt pretty good about the portion size. Overall, Rye and Co is nice enough for those who live in the Xintiandi area, but it is very much so still in a mall. I went for a solo brunch over the Chinese New Year holiday, so I’m sure it was much quieter than it usually would be at brunch time. Consistently ranked as one of the best brunch spots, Bread Etc. was always one of those places I passed on foot but never went inside. It turned out to be a perfect place to sit and get some reading done. The atmosphere was lively still, and the crowd was a nice mix of people. The people near me consisted of a first date, a business brunch, and another guy reading a book. The servers came over right away with a menu, and the service was great. I always had a full glass of water and staff was always aware of who needed help. I thought brunch was reasonable given the portion size and the fact that I wasn’t rushed out of the restaurant for flying solo. 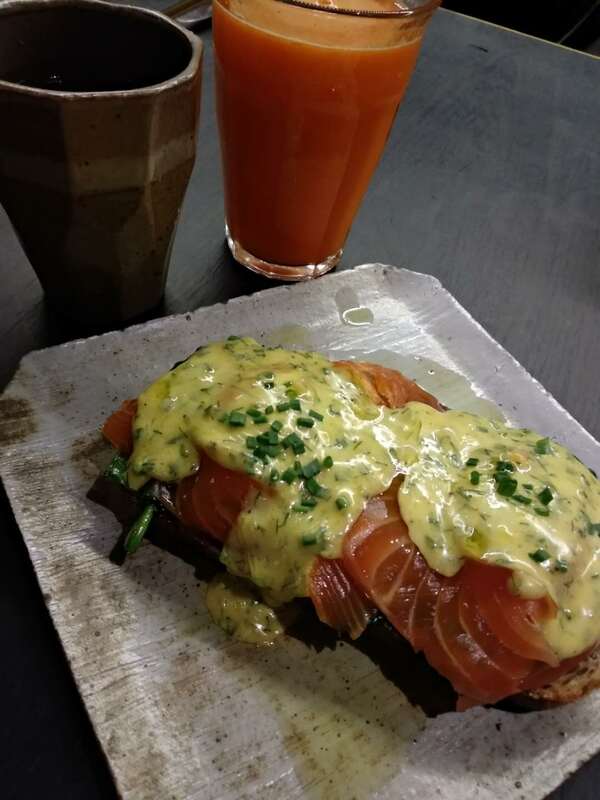 The Salmon Benedict (RMB 82) had a really nice helping of fish on it, the Flat White (RMB 35) used good coffee, and the Orange Juice (RMB 35) was really fresh. 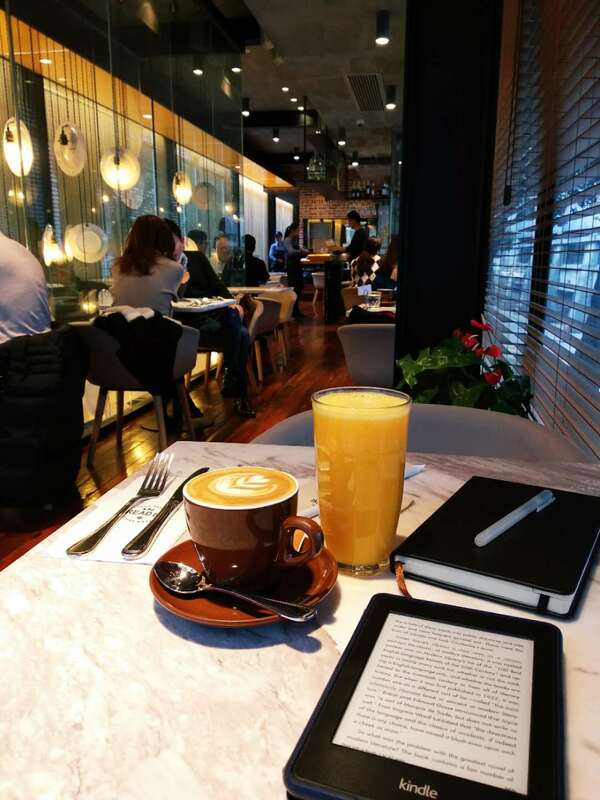 In total, I spent RMB 152 on an extravagant brunch for one, but it’d be very easy to pop in to grab some bread downstairs and a coffee for a far lower price tag. Summary: Bread Etc. is a great place to stop in for a coffee and a pastry or grab a table for a full meal. The space accommodates everything from lunch dates to business meetings. 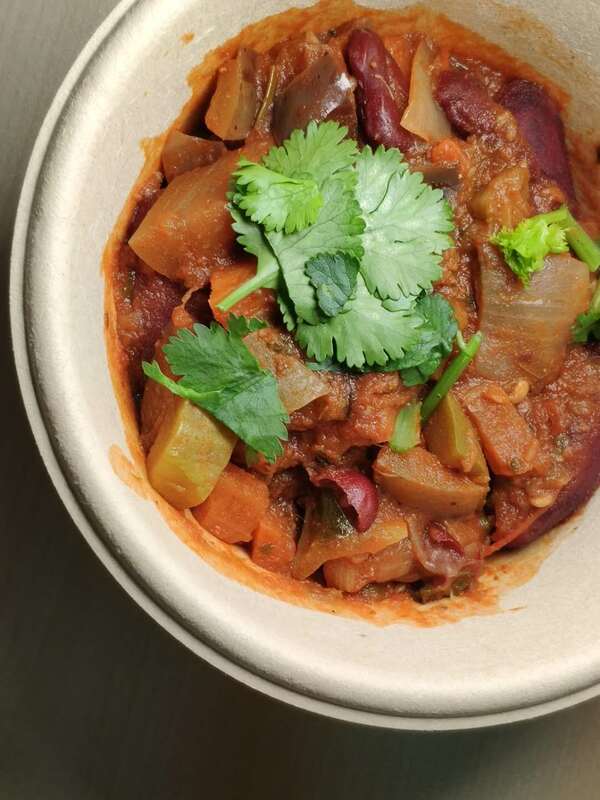 The food is delicious, fresh, and exactly what you’d expect—in a good way. Overall, Lil Laundry isn’t much different from its older sister, Liquid Laundry. The service is consistently hit or miss, but I usually hit more often at Lil over Liquid. I think this is because when in closer proximity to the staff, it’s easier to flag them down. The menu looks surprisingly similar. It’s got a different font and its own style to make it look edgy (or something), but the classics stay the same. They still serve up the best value to quality ratio of mac and cheese in Shanghai, and the steak salad was cooked just the way I like it. 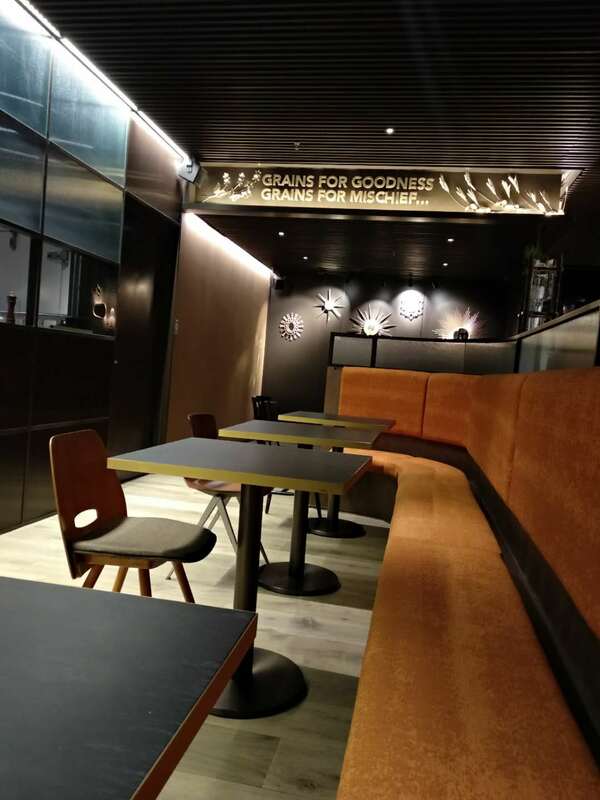 The location is conveniently located inside Shanghai Center, but it’s oddly quiet at random hours, and I just can’t figure out if there’s any rhyme or reason. Lunch seems to have a consistent smathering of people who work in the area, but dinner is really hit or miss. And something about the empty atmosphere at brunch doesn’t make it as cozy and lively as its counterpart. Overall, Lil Laundry gets points for having better service, but the food is very close to / almost exactly the same as Liquid Laundry. Grabbing lunch from the office or dinner right after work? Lil for sure if you work in Jing’an. Literally any other occasion? Probably best to stay on a Liquid diet. Wan Dao Japanese Teppanyaki is a restaurant to be taken seriously. If you plan on eating here over the weekend, I’d recommend getting a reservation. It’s often booked out, and their private rooms, which seat 10-12 people, are probably the best experience they offer, but they book out fast. For the price of RMB 380, you can really get your money’s worth provided you like meat, seafood, and booze. 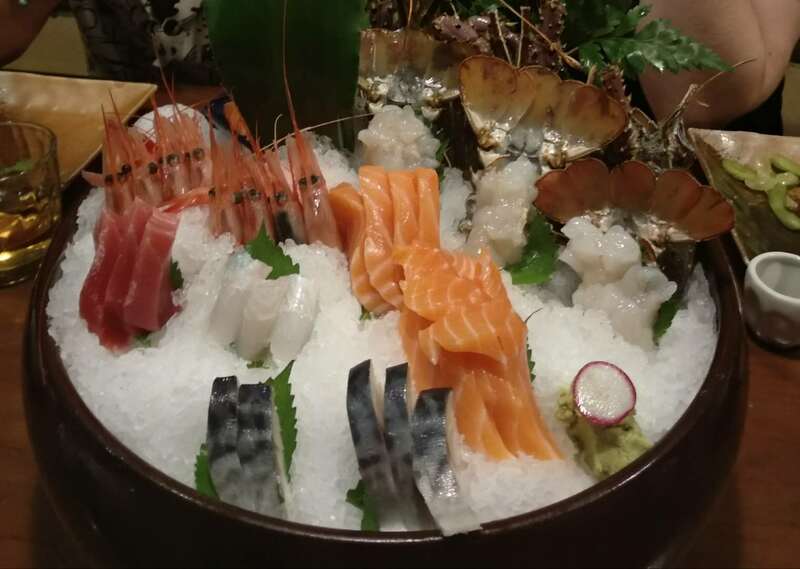 You’re welcome to eat your weight in sashimi, so you really can’t go wrong. Going with a big group is also beneficial to the variety you get when ordering. So how does it work? We got a big group of friends together and ordered everything we could have possibly wanted off the menu. 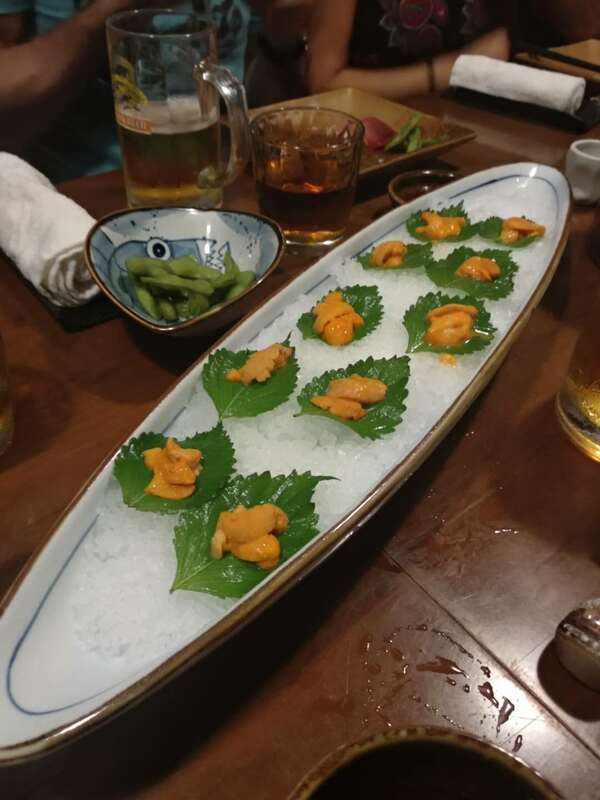 Among other things, we ordered sashimi (lobster, salmon, sea urchin, etc. 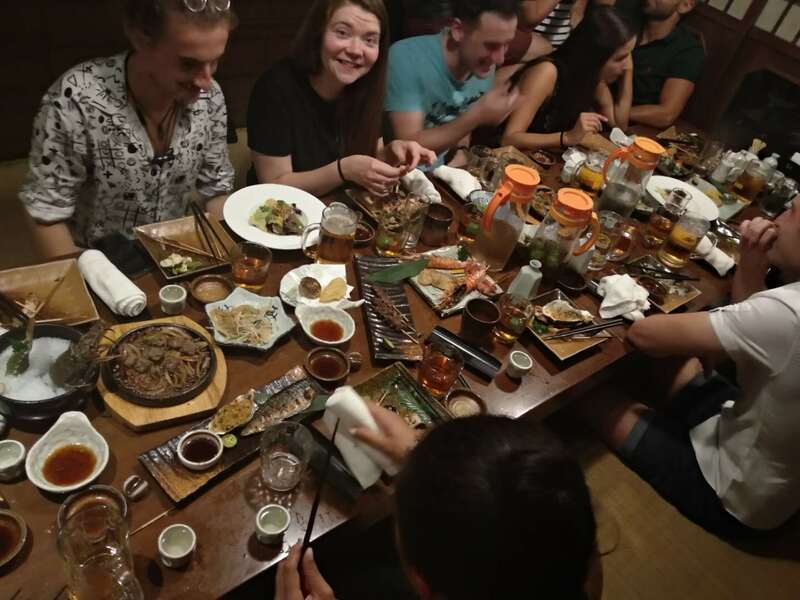 ), teppanyaki beef, foie gras, grilled shrimp, numerous vegetable dishes, and a few other random delicious things that came out after we told the staff to “bring us your favorite.” We were all drunk as skunks as well since the RMB 380 includes unlimited sake, beer, and plum wine. They were never slow about bringing it out, but the staff started bringing sake by the carafe. Eventually, the evening experience ended, and we had to put our shoes back on and hobble back out into Shanghai, but we’ll certainly be back. If you’re a ramen person, however, the setup of the restaurant was quite nice. It feels hidden away and cozy while you munch on warming food. The menu has a number of Korean options as well. I’d also have to recommend the sparkling plum wine (RMB 35/glass), which was not a let-down. 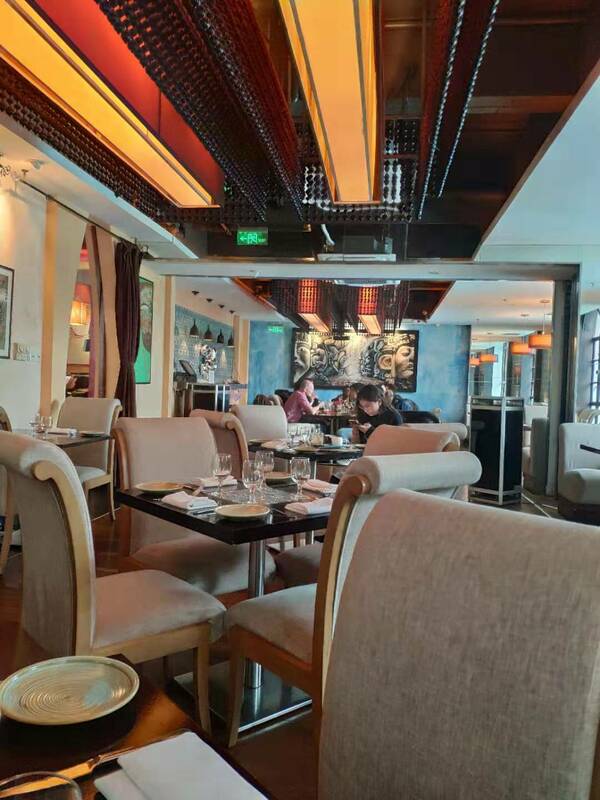 Overall, it’s a good atmosphere to enjoy a meal for under RMB 100 per person. I’d also say it’d be good for a first date as it’s casual but interesting, and you won’t break the bank on someone you don’t know that well. My guess is that ramen lovers might thrive here a bit more than I did, but I wouldn’t be opposed to going back. I also like that there are QR codes at the table, and you can just go ahead and scan to pay when you’re ready. A nice touch of the 21st century. With a hankering for something with cheese (what else is new), my friend and I stopped into Favorita Italian Wine Bar for dinner. It’s a really friendly neighborhood bar and restaurant, but it was a bit empty even for a Tuesday evening. I’m willing to bet that the outside seating is much fuller in the summer months. It’s a really relaxed environment, and the house wine was smooth and only RMB 25 per glass during their happy hour promo. The owner came by to talk to us, and we ordered the Burrata Cheese at his recommendation as it comes in fresh on Tuesdays. We were in heaven. We also enjoyed the handmade pasta we ordered. The gnocchi was in just the right amount of cheese sauce. Favorita was honest about what was and wasn’t handmade. There was an attention to detail there in their small kitchen. I think the owner wanted the place to be a bar where people could just stop in for a drink after work, but instead Favorita appears to be moreso a restaurant—and there’s a lot of tough competition for Italian restaurants here in Shanghai. 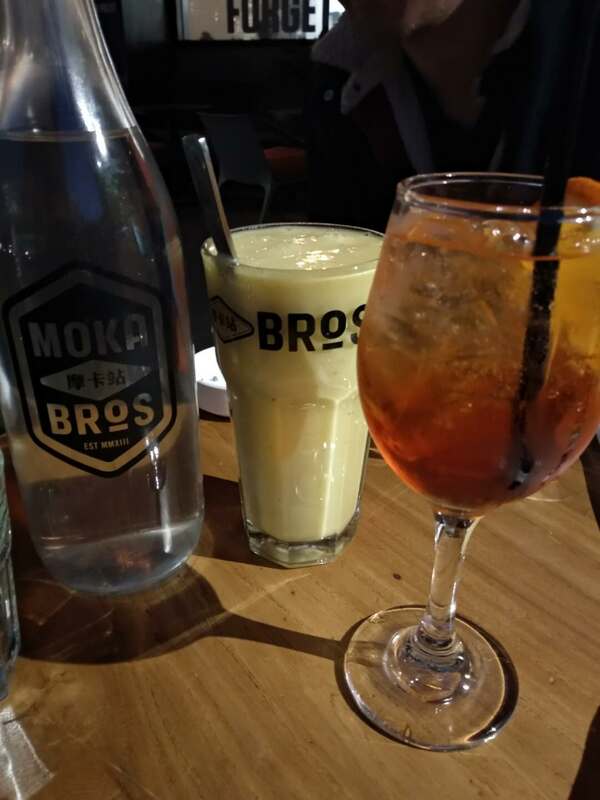 Overall, my friend and I agreed that we would certainly be back, but we do see the place as more of a restaurant than a neighborhood bar. We did enjoy the welcoming feel and talking to the owner for a moment who really brings the warmth to his own establishment. The food was fresh, wholesome, and good value. I'll also never say no to limoncello. 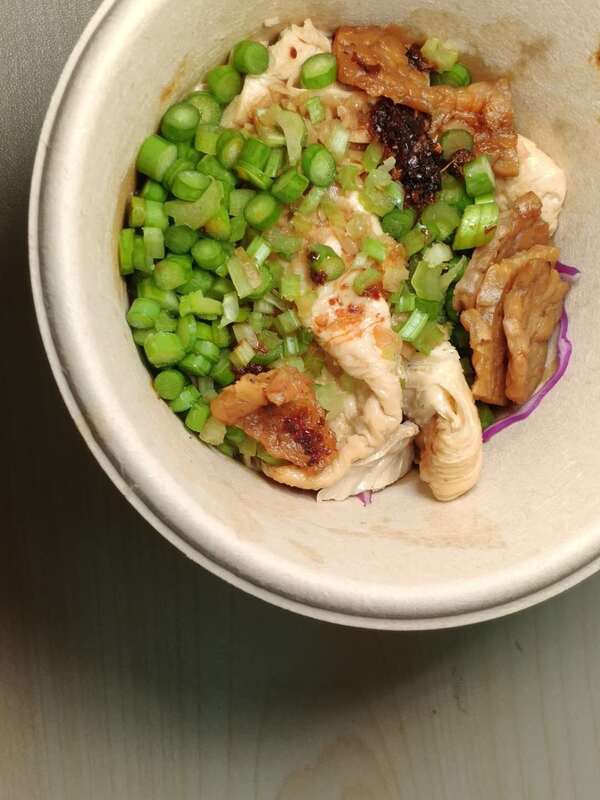 Is Munchies the best thing on the Wuding Lu strip? Well, yes. Yes, it is. Did we arrive a little bit tipsy and order Shrimp Tacos (RMB 46), a Classic Ruben (RMB 43), a Cajun Shrimp Po’boy (RMB 46), a Texas Toast BLT (RMB 38) and a Berry Blast Smoothie (RMB 28)? Yes, we did. Did we wake up the next morning and think, “I spent too much money last night!” No, we absolutely did not. Because Munchies hits the spot for the right price for those who are already around the Wuding strip area. I probably wouldn’t travel exclusively for Munchies, but it’s the perfect way to end a night of drinking or grab a quick meal if you live in the area. It’s consistently consistent, and I like that. There’s so much stuff on the menu to choose from, and it makes me really joyous that stuffed spuds are a thing on the menu. 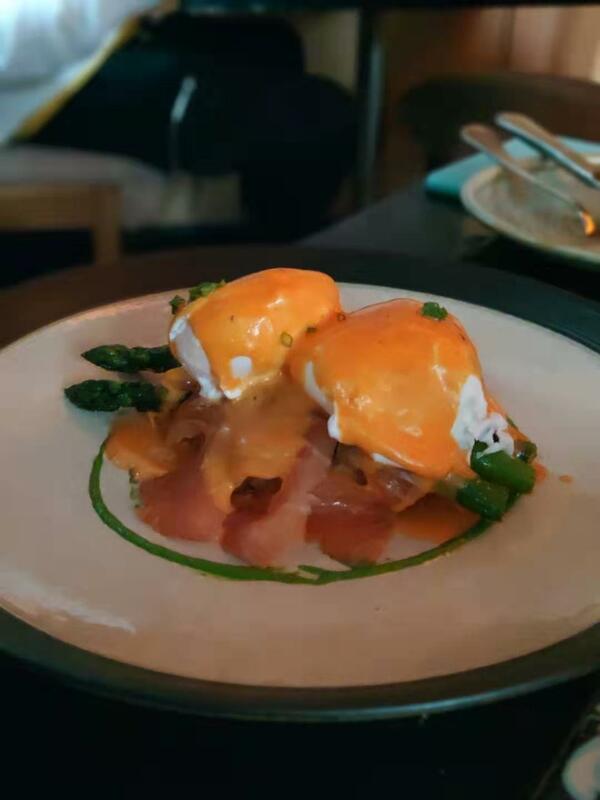 They also do all-day-breakfast, so when you haul out of bed at 4pm on Saturday, it doesn’t let you down like the rest of the Shanghai brunch scene by switching to the dinner menu. It’s cheap, it’s classic, and it’s in a great neighborhood. So go get your munch on. I’m a big fan of Barbarian for evening drinks. I go there regularly as I like that I don’t actually have to make decisions. You can simply tell the bartender what you’re in the mood for, and he or she will whip something up for you on the spot. Herbal-sweet-vodka-something? Sure. Sour-whiskey-floral-something? Done. 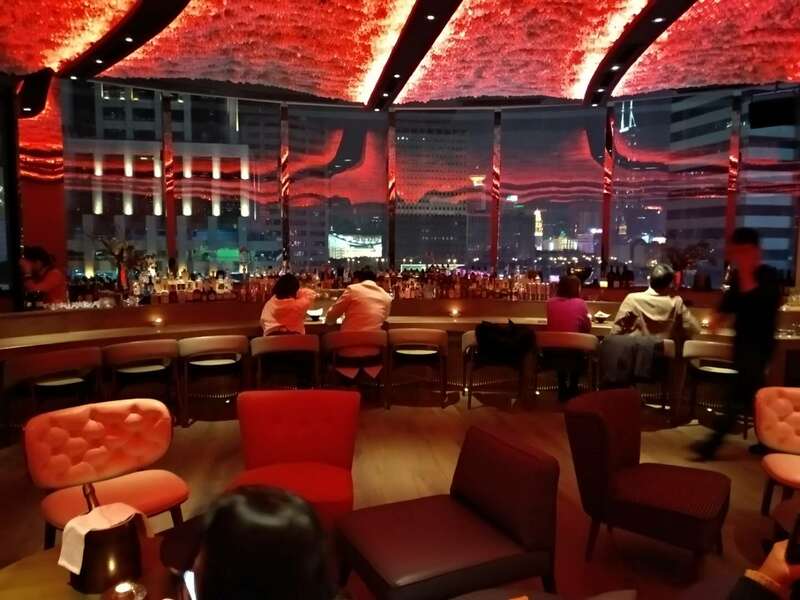 The bar staff is great, and the price usually hovers around RMB 60 for uniquely crafted cocktails. Barbarian is great for those of us who are trying to cut down on carbs. (Not me, but I’m happy for you keto-fiends.) The menu is really meat heavy, and you can’t really go wrong with meat on a stick. I ordered some BBQ Pork Ribs (RMB 98) as well as the Primitive Steak Salad (RMB 68). 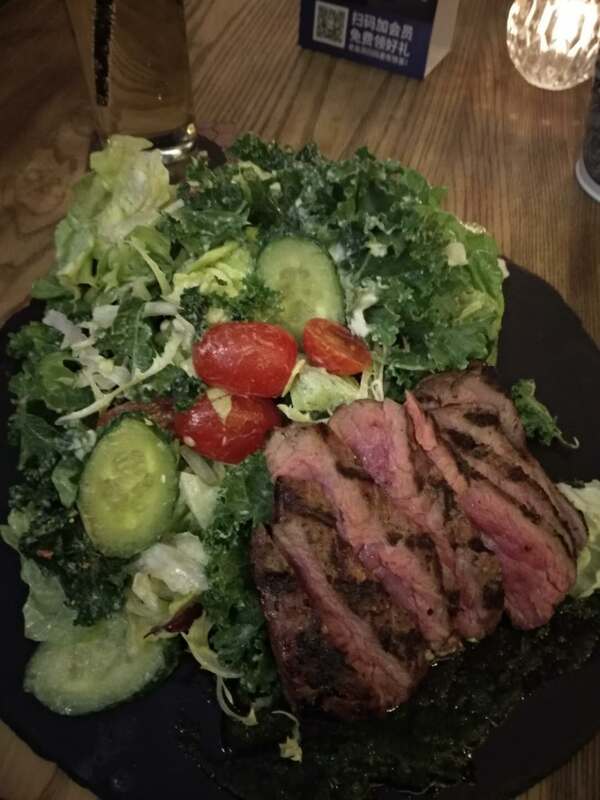 I’m really getting behind the salad, as a steak salad usually doesn’t have pumpkin or maple bacon dressing. It was a twist on the usual. Ribs were grilled to perfection. I’d recommend Barbarian for the meat lover in the best of us. The prices are fair, and the food hits the spot. The downstairs has a distinctly cozy ambiance, but the upstairs terrace is a more open option before the weather gets too cool for even a heat lamp to override. Because it was Friday, I decided that I deserved to sample a new bougie lunch set near my office. 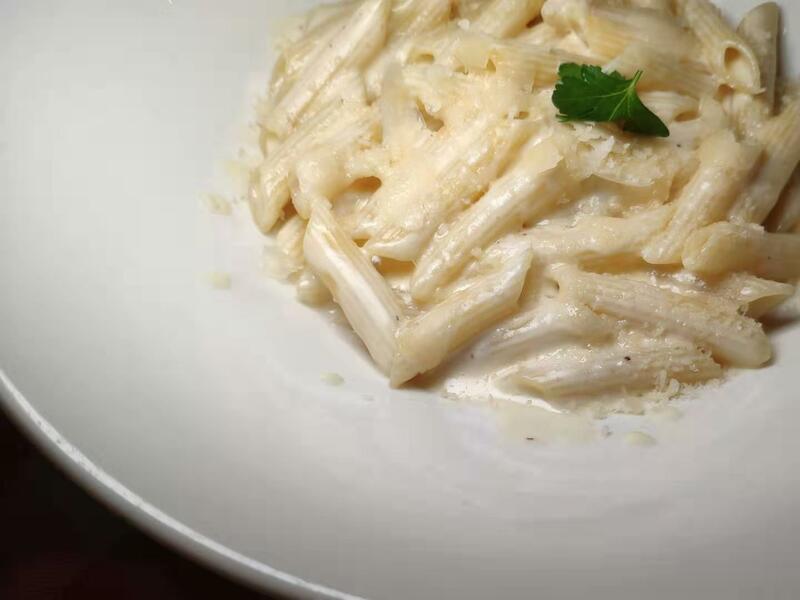 Pelikan runs a lunch deal for a starter + main for RMB 138 or a starter + main + dessert for RMB 168. I obviously went for the three course lunch because I’m worth it. I started with the Kale and Figs and ordered the Cod and Peach as my main. Everything I ordered felt healthy but also quite sweet. I can’t say that I totally expected cod to go well with peaches, but I was also pleasantly surprised there. The dessert was the star player, though. The Milk and Honey was a whole lot of honeycomb, and I’m all about that crunch. The restaurant itself is lovely inside and offers diners a tropical vibe, which was just what I needed as it is getting colder. Overall, the place was trendy but also very comfortable. It wasn’t too crowded around lunch time, and the service staff were very friendly and attentive. I’m not sure if I’d want to pay the full menu prices to come back around dinner time, but the lunch menu does offer a lot of options to get to know Pelikan for a cheaper rate, and I’ll certainly be back. Masala Art was recommended by a number of people when I posted around my wechat groups asking for help finding an Indian restaurant with booths that wouldn’t mind my friend and I, uh, getting really comfortable for the long haul. It was still fancier than I wanted it to be, but I really can’t fault the place for being too nice. We were hungover and wanted a curry, and we didn’t want anything remotely bougie. They did have a booth on one side, and they didn’t appear to judge us as we both schlumped down into it. I think the restaurant had lovely decorations, and the staff were very well dressed, but it wasn’t the dive I was looking for in that moment. They did kindly tolerate our disheveled look as we ordered an obscene amount of food for two people. 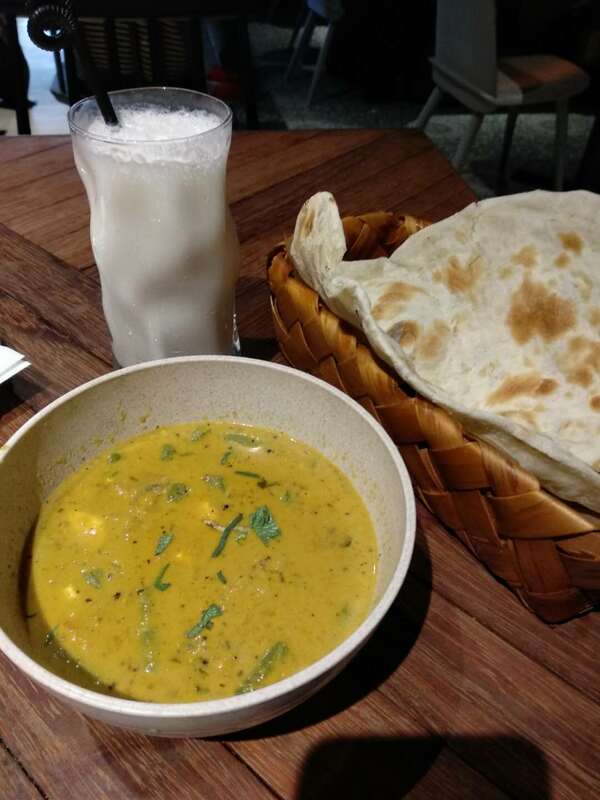 Star players were the Banana Lassi (RMB 29), which came out really quickly to my dehydrated delight, and the Aloo Pudina Angara (RMB 49), which was all the starchy potato goodness I needed stuffed with cottage cheese and mint. It was the right amount of spicy for our mood. We also of course ordered multiple orders of garlic and butter nan (RMB 19/each). There were also a few different curries we ordered, with Butter Chicken Masala (RMB 69) showcasing just how basic we really are. Overall, we enjoyed the presentation of the food, the food itself, and the friendly staff. It’s where you should go for a moderately priced casual date-night or dinner with some buds. And maybe don’t wear sweatpants like we did. Pierogi Ladies 2.0 opened a couple of weeks ago, and I went on the day of their opening for their all-you-can-eat pierogi deal. It was too good to be true. The people of Shanghai spoke loudly when they bought out the stock. It wasn't a total loss of a first visit, though. I enjoyed the adorable new location by sitting on one of the in-restaurant swing seats drinking buy-one-get-one Polish beer instead. It's definitely a place that's welcoming enough for a hangout. Forget coffee shops, Pierogi Ladies is the new place to hang. They're running all kinds of deals throughout the week. Pop in for happy hour Tuesday-Thursday from 5-7pm for drink deals or buy-one-get-one-free on pierogi every Tuesday from 6-9pm. 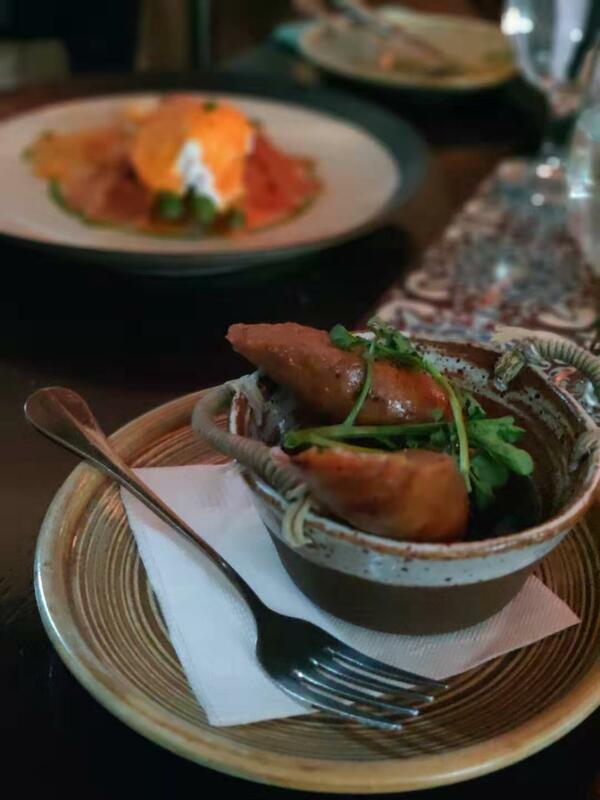 I went back a week later to order the classic pierogi, feta and spinach pierogi, and beetroot and goat cheese pierogi. Choosing my favorite would be far too difficult. Each plate came with a bowl of sour cream, so you can rest assured that you will have enough to get that perfect texture on your flavor palate. 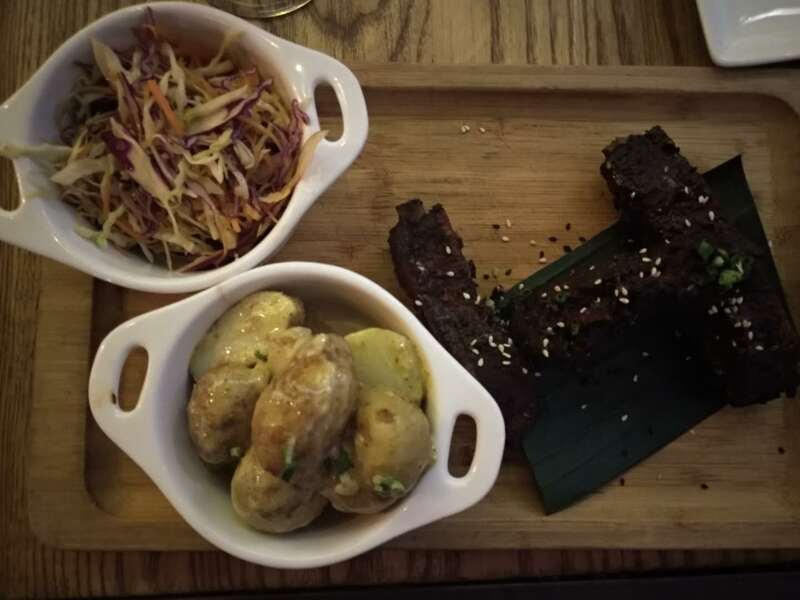 I'm keen to go back to try their weekend brunch, which is RMB 98 or 88 depending on your choice and includes pierogi with a number of delicious looking sides. It's not all delicious pierogi, though. There's also soups, salads and desserts to sample at this adorable little lane location. I stayed in town over Golden Week, and I went to five brunches. While I was starting to get a bit delirious over what felt like my millionth egg of the week, The Commune Social blew all of the other brunches out of the water. From the beautiful yet simple decor inside to the friendly service, I was in a really good mood before I even got my food. The portions were incredibly generous, and we definitely ordered too much. 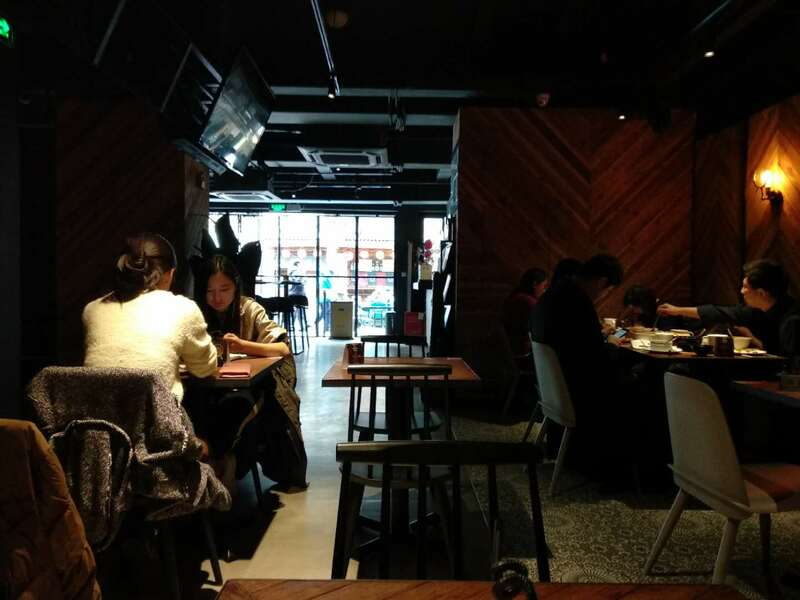 Their brunch menu works by letting the customer choose three dishes for RMB 188. This is more than enough food for one, and all of the dishes are portioned generously. I got too excited by the a la carte menu as well, so we also ordered the Beef Tar Tar (RMB 98) and the 'Tongue and Cheek' Empanada (RMB 98). That amounted to four dishes per person plus a smoothie each. It was the last day before we had to go back to work, so it was necessary and delicious. From the brunch menu, we sampled potato gratin, seared scallops, lamb shoulder, and smoked salmon + potato pancake. It was all really rich, but it was easy to tell the restaurant was using fresh ingredients and complimentary flavors. I can't honestly believe that it took me this long to get over to The Commune Social, and I can easily imagine it being lovely for anything from a date night to a night alone with a good meal and a book. The food was warming, delicious, and well thought out. I'm looking forward to many more meals here. Stone Brewing has been open for just over a month, and I've already been three times due to the proximity to my house. It's good food and great beer at a fair price. 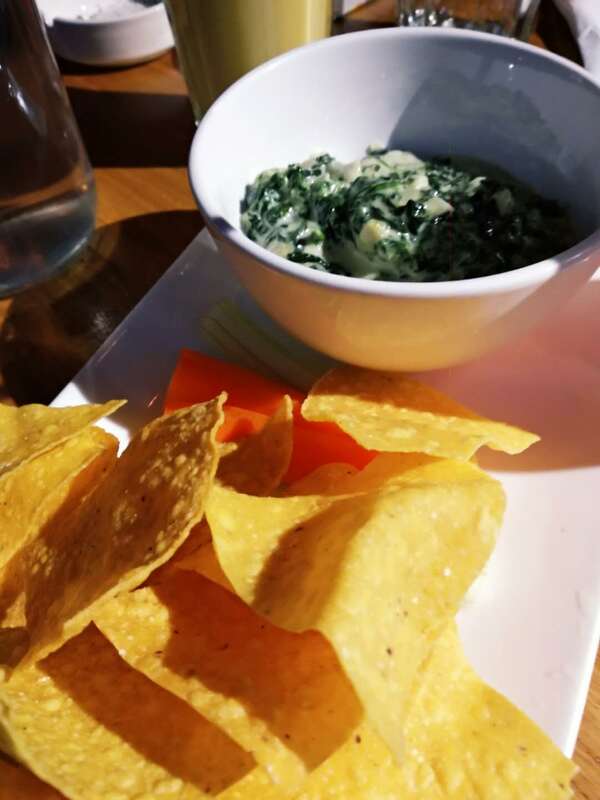 When I had some out-of-towners craving some classic western food after a long trip through the countryside, I decided to take them for Sunday brunch at Stone Brewing. Stone Brewing is the new neighbor to The Cannery, and for whatever reason, I never get served at The Cannery, and I spend most of my meal chasing down service staff. I had been joking that I hope this bad luck didn't rub off on Stone Brewing next door, and I probably should have kept my thoughts to myself because on the 3rd visit, that's exactly what happened. We waited 40 minutes for drinks in the restaurant that was only about half full, and nobody took our food order for the first hour despite requesting that someone come by the table to help us out. It was borderline comical. We weren't being horrible about it, either, though at a certain point, I had to ask to speak with the manager. This is where Stone Brewing turned it around. We got a full apology, and the restaurant compensated us for all of our drinks. This sort of outcome isn't super common in Shanghai, and we honestly weren't expecting it. Obviously, we were happy about it and ready to enjoy the atmosphere and move on to the good food. Our table enjoyed the Crab Cakes Benedict (RMB 108), The YuYuan Breakfast Sandwich (RMB 58), The Hangover Burger (RMB 88), and Chicken and Waffles (RMB 98). 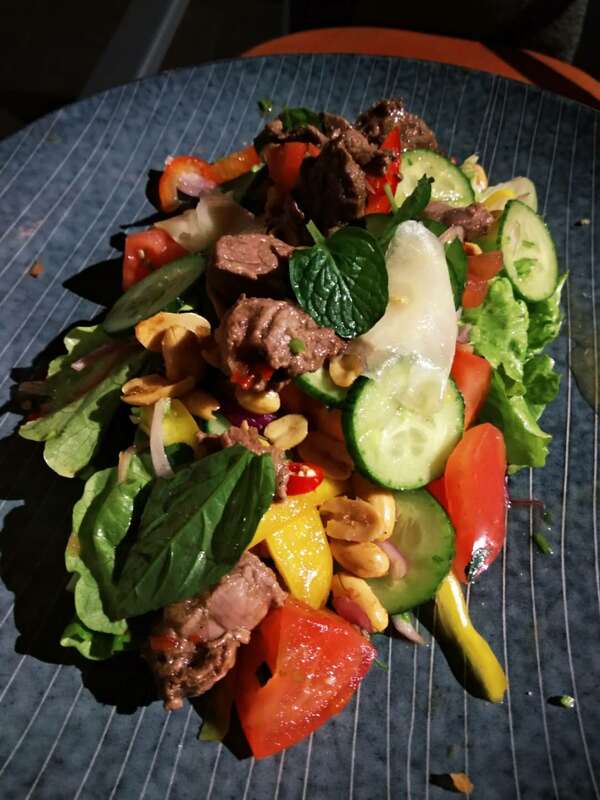 The portions are large, and the taste kept us all in a good mood. Overall, I will absolutely be back to Stone Brewing, and I'm hoping that the service issues are a bit of a one-off. They've got everything I like in a neighborhood joint--good atmosphere, a tasty variety of food options, and fair prices. I'm sure they're just still working out the kinks as they are a new restaurant, but I'm hoping they'll be sticking around Shanghai for a while to come. I have been in love with Husk since the first time I tasted their brunch about a year ago, but when I started a new job by West Nanjing, I entered the wonderful world of Husk lunch sets. At RMB 138 for two courses and a drink, it just might be the highlight of my work day. While the price is a bit steep to be doing daily, I like going once a week when I'm feeling bougie. It's absolutely worth it, and I leave feeling ready to conquer the rest of my day. Well, I leave feeling full and happy, at least. After four hours of starting at a computer screen, the exterior of Husk is a welcome sight with its adorable garden entrance and relaxed color scheme. Once inside, the restaurant is upscale but not pretentious. 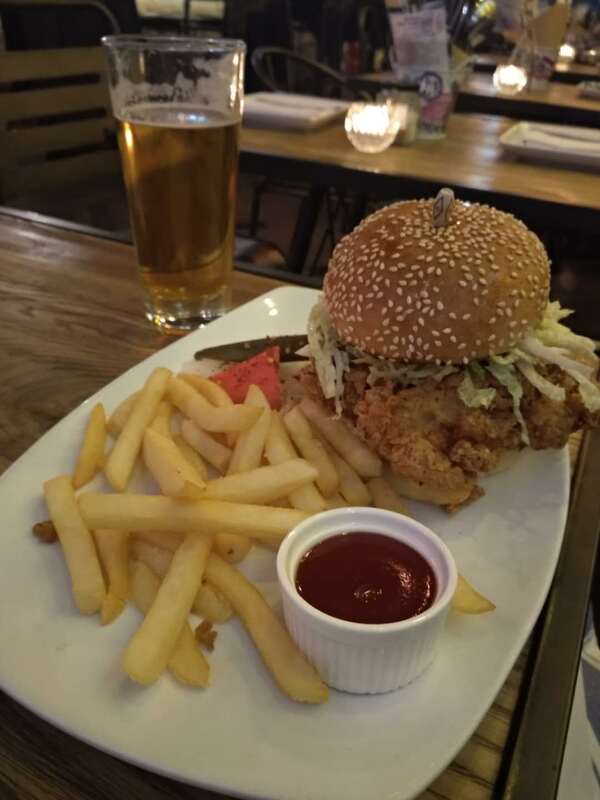 They are also currently on Chope, so you might as well make a reservation to collect those Chope discount dollars--but lunch time isn't so busy that a reservation is necessary. The meal itself is quite heavy for someone who has another four hours of work time ahead of themselves, but I'm a grown woman, and I know what I'm doing. My favorite lunch combinations are the Grilled Calamari with hummus and red wine vinaigrette to start and then ordering Gnocchi with cheese, bacon, fried egg, and tomato sauce to really feel like you ate well. I also highly recommend the Crisp Sesame Shrimp Salad with radicchio, feta, and cucumber as well as the Braised Australian Lamb Shank. I'm a champion, so I managed to finish it all, but the average lunch-goer might have to take home some leftovers. All lunches are accompanied by warm bread and an olive oil and tomato sauce for dipping. Wash it all down with a Rose Lemonade or Cucumber Kiwi for the full set experience. A third course can be added which takes the price up to RMB 148, but I think dessert would make me fall asleep at my desk after waddling out of the restaurant. The service staff are friendly and attentive, and I highly recommend popping in from work when you're feeling fancy on a Friday. Or any day for that matter. 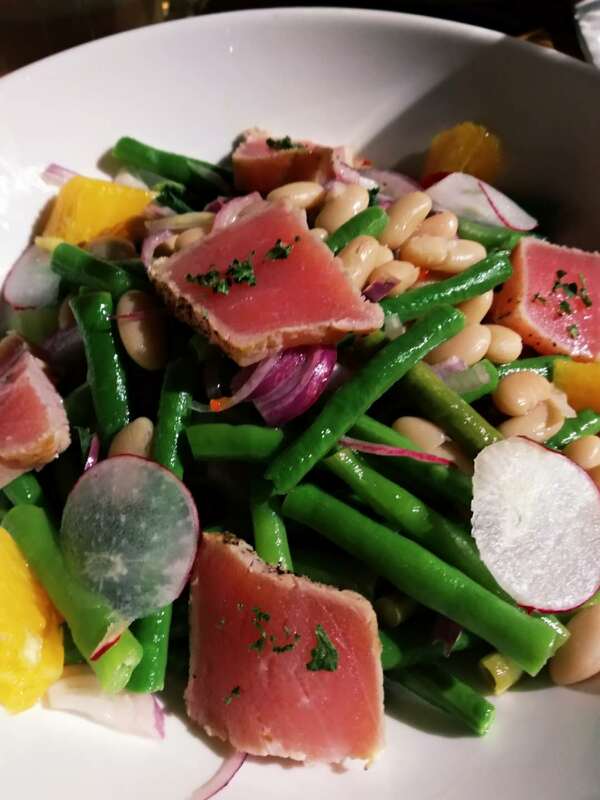 Husk also offers brunch, dinner, tea, and a fairly priced happy hour suitable for any number of occasions. "Why are so many of my friends vegetarian?" is a question that keeps me up at night. Good meat is obviously the most important part of any meal, but when it's time to say goodbye to a veggie friend leaving Shanghai, I just had to mentally prepare to be disappointed with dinner. Two bites into the Stir-Fried Eggplant (RMB 46), which looked to be a bit more deep fried than stir fried with a delicious sweet and sour sauce, I figured this vegetarian restaurant might not be a total waste of my stomach space. One large bite of the Steamed Gluten with Black Fungus and Peanuts (RMB 29) and I couldn't even whine about being at a vegetarian restaurant as I was too busy stuffing my face. When the first fake meat dish came out, I was a little wary, but the Vegetarian "Steak" with Black Pepper Sauce (RMB 49) ended up being pretty filling. Turns out all this tofu has a pretty high protein content. I'd still choose actual steak over the fake stuff, but if I stop comparing this dish to real meat, the flavors really hold their own. Why were all of my favorite dishes so brown? I don't know. Typically, I enjoy leaving a good meal feeling almost sick-full, but all of the vegetarian food left me feeling content-full. This is probably how normal people function at a restaurant. If it hadn't been for the numerous Tsingtao Beer (RMB 18) rounds, we could have easily escaped feeling good about ourselves for under RMB 100 per person.